С началом новой недели вас! Как прошли ваши выходные?) Для нас на отдыхе, что суббота, что понедельник, все одно! Погода переменчива, вчера даже небольшим градом нас наградила! Но весна в самом разгаре, даже похожа на лето, уже начинаем поедать клубнику с огорода и черешню с наших деревьев!!! Since the beginning of the week for you! How was your weekend?) For us to rest, the Saturday that on Monday, all the same! Weather is changeable, even small hail yesterday awarded us! But spring is in full swing, even like in the summer, are already beginning to eat from the garden strawberries and cherries from our trees !!! И вот все это настроение перешло в новую открытку по скетчу от Совушки Славии! Графичный, схематичный, но при этом дающий простор для фантазии, скетч! За большим вдохновением от наших дизайнеров заглядывайте в блог Совушки Славии! And all of this mood shifted to a new sketch on a postcard from Sovushka Slavia! Graphically, schematic, but it gives room for imagination, sketch! For great inspiration from our designers look into the blog Sovushka Slavia! Для этой открытки я снова использовала набор "Beautiful lady" от Altenew. 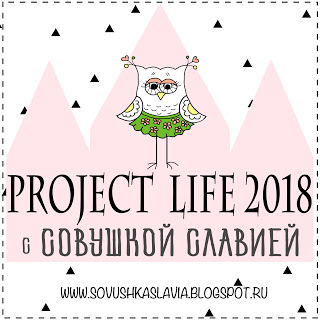 Ну уж очень он мне по душе и для скетча отлично подошел! Цветок отштамповала с помощью техники горячего эмбоссинга, раскрасила акварелью. А так же добавила прозрачные дропсы от Pretty Pink Posh, такие они классные, выглядят как маленькие капельки росы. Надписи так же от Altenew из трех разных наборов. For this card I used the set again "Beautiful lady" from Altenew. Well, it is very much to my liking and the sketch went very well! Flower stamped using hot embossing techniques, painted the watercolor. And also added transparent Drops on Pretty Pink Posh, they are cool, they look like little drops of dew. Inscriptions also Altenew from three different sets. 4. Creative with stamps challenge. Challenge#2 - cas-clean and simple. Oh, this is gorgeous! I love your wonderful take on the sketch! Leigh, thank you so much! Billie, thank you! I found your challenge recently, glad to play with you! 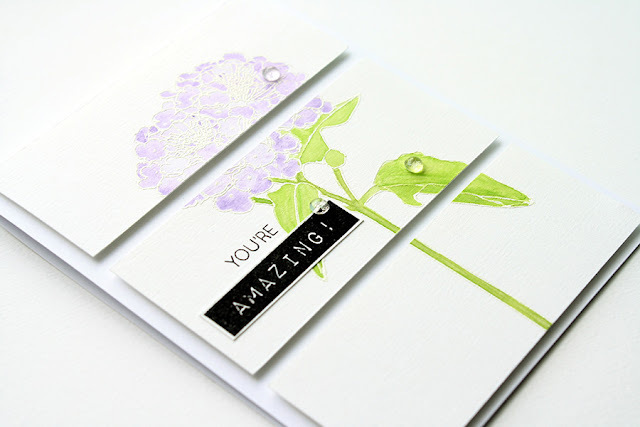 saw your card on creative with stamps what a pretty image and love the layout too. This is super pretty! I love the design. Thanks so much for playing along with us over at the Simon Says Stamp Wednesday Challenge! Jingle, thank you so much! I always happy to play with you! Hey Katerina!! I totally love this card. I love how you separated the flower, such a creative way to interpret the cue card. 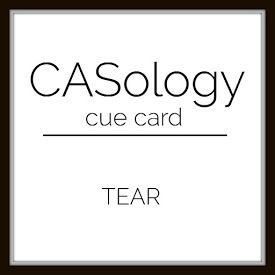 Nicely done.Thank you so much for playing with us this week at CASology. Thank you for your mark! I'm glad to play with you! Visiting from CWS link up --- Amazingly beautiful card!! This is such a beautiful card, love the split panels and the soft colouring. The panel add more lovely effect on your card woooow!! !